Located at the intersection of Indiana, Kentucky, and Illinois, Evansville links the economies and cultures of three separate states. 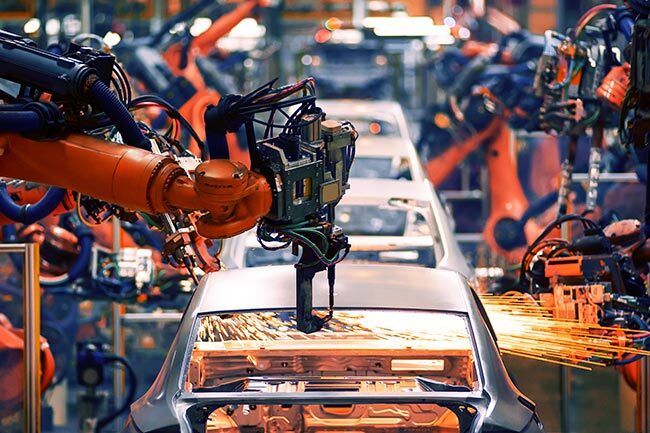 Combined with thriving manufacturing and financial services industries, this gives the local economy all the resources it needs to grow under any conditions. ExpeditedFreight.com enhances this growth with our quality express freight services. We ship supplies into Evansville and finished goods out, making sure the town has all it needs to continue its success. 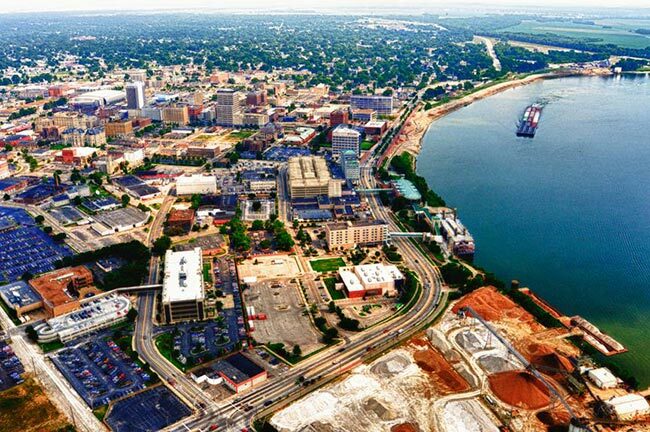 Besides enjoying such a strategic location, Evansville succeeds economically because of the presence of several profitable industries, which provide a base of wealth to support its retail, tourism, and other activities. Among these industries is the production of auto supplies, such as the seating mechanisms that Fisher Dynamics manufactures at a facility in Evansville. These industries provide lucrative, stable jobs for much of the local workforce, giving them the earnings to sustain the entire local economy. 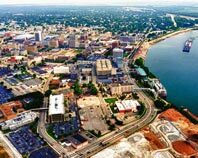 Unfortunately, maintaining such a vibrant business base is no easy task, especially given Evansville’s location. These industries need steady supplies that are delivered safely and efficiently, but it’s hard for their carriers to ship those supplies given that they have to compete with drivers from three states. These logistical challenges are only worsened by the fact that carriers must avoid damaging these supplies at all costs, as damaged supplies can undermine safety. With ExpeditedFreight.com, you’ll never have to worry about getting all your supplies safely and on schedule. We have a long history of operating in Evansville, as well as in other communities in the area like Mt. Vernon, Paducah, Bloomington, Owensboro, Mt Carmel, and Henderson. Proactive Protection - We take extensive precautions to protect all our shipping items from damage on the highways. These steps range from loading specialized storage equipment to planning routes that avoid exposure to bumpy roads or severe weather. Because we offer dedicated trucking for all our expedited freight delivery services, there are no barriers to offering the highest standards of safety in the industry. Rapid Results - After safety, our most important goal is speed. To get your items to you as quickly as possible, we plan careful routes from your starting point to the destination. This lets us avoid likely sources of delay, such as traffic jams or inclement weather. We also place teams of two drivers in every truck except those making the shortest of deliveries. This means they can drive through the night without stopping to rest; because the drivers switch off between driving and sleeping, they both have enough energy to work safely. Customer Support - Our customer support office can take your calls and answer your questions 24 hours a day. We will give you precise estimates of the location of current orders, along with free quotes for the price of future orders. Located at 4000 Tulip Tree Drive in Princeton, Indiana, Toyota Motor Manufacturing Indiana directly provides jobs for more than 5,500 people while producing USD $2.15 billion in annual revenue for Toyota. The facility was first constructed in 1996, and has been enhanced many times in the roughly two decades since.It currently contains two separate plants. One, the West Plant, produces the Toyota Sequoia and the Toyota Highlander Hybrid. The East Plant manufactures the Toyota Sienna, while both plants produce the Toyota Highlander. These facilities together make the plant one of the most important manufacturing centers in the Evansville metropolitan area. The sheer size and complexity of Toyota Motor Manufacturing Indiana make logistics a constant challenge. The firm’s express trucking providers have to ship in a myriad of different supplies on tight schedules, making sure they don’t get damaged along the way and that they are delivered to the right plant. If the facility doesn’t get the right supply in time or it arrives too dinged up to be useful, production may be impaired. ExpeditedFreight.com guards against impaired production through quality expedited shipping. We have extensive experience dealing with expedited freight emergencies, delivering essential items across the country with little if any notice. While we ship at top speed, we never cut corners on safety, keeping your items in pristine condition all the way to their destinations. Day or night, rain or shine, we’re there to keep Toyota Motor Manufacturing Indiana booming. For more information on shipping in Evansville and other communities across the US and Canada, contact ExpeditedFreight.com today at (317) 800-7222.